In 1994 Troy Bickerstaff mailed a letter to the Slaton Railroad Association (Harvey House) president, Tony Privett. 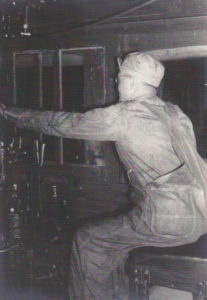 It described in as much detail as he could the Santa Fe service of his Grandfather, Joe V. Bickerstaff. Tony remains a board member and has kept the letter all these years. With belated thanks to Troy, his granddad will now be added to our Historic Slaton and Harvey House photo gallery, and briefly honored here. 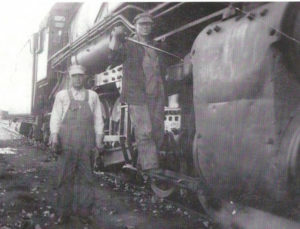 Joe began his Santa Fe career in 1915, spending most of it in Slaton as a steam locomotive engineer until he retired in 1950. Most of his runs were to Sweetwater, Seagraves, Lamesa and San Angelo. His Son, Troy H. was also a Santa Fe employee for over 30 years, also a locomotive engineer. 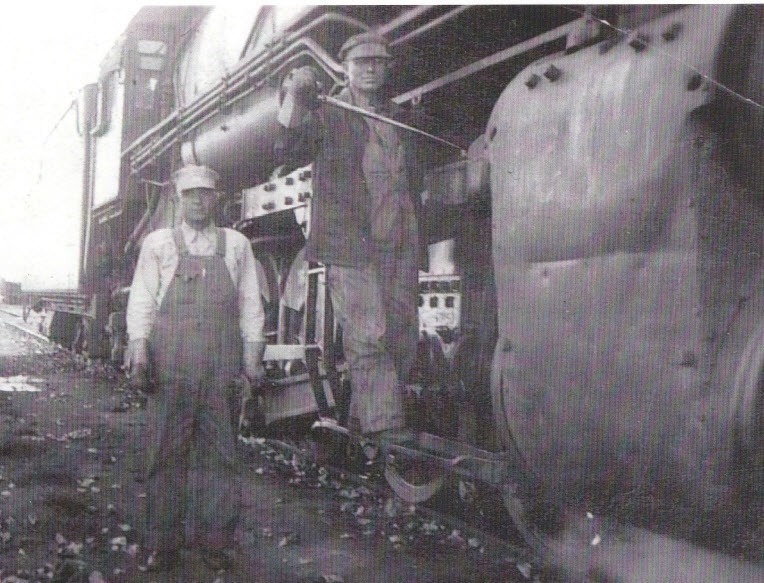 Joe shared service for a while with a mechanical celebrity–Engine 1010. 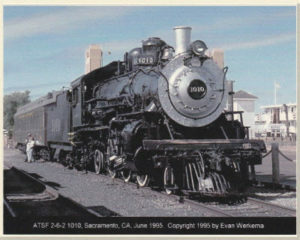 It was a Prairie type steam engine and is now on permanent display at the California State Railroad Museum in Sacramento. Her fame came from use in two movies, but mainly for setting the Los Angeles to Chicago speed record in 1905. The trip of 2,265 miles took 45 hours and averaged a speed of 50 miles an hour, establishing the Santa Fe’s fame as a high-speed railroad. Her final freight runs were out of Slaton in 1953. Thank you Joe, Troy H. and #1010 for contributing to the fabric of our town.